For starting the installation, the first step is to measure the place. You can use the pencil to mark that place. Make a thick line so that it will be easy for you to follow them. If your desired area has some old flooring, then first remove them. For this purpose, you can use the pry bar. Clean it properly before the new installation. If the floor is uneven then you can do your flooring with joists for a proper installation. It is better to use prefinished larch wood to make the process easy and to give it an excellent look. If it is unfinished, you might find it difficult to finish it properly because of lack of experience. Hence, always choose prefinished wood for the installation. You can get this material from any wood store. You just need to take the proper measurement to bring the right size for your flooring. Draw a line of the floor onto the subfloor by pencil. Then start installing from the longest wall of the room with a thin wood piece. In addition, start placing wooden board next to the thin piece against the wall. During this process, use an electric nail gun to fix the pieces into the subfloor. Continue the same process, until you have not covered the entire area. When all the wooden boards are placed properly, you can clean the debris. It might require sweeping, washing, and vacuuming. 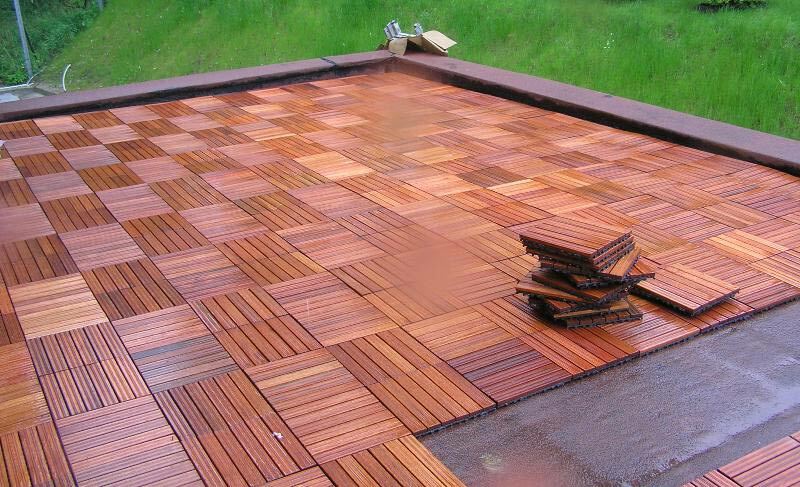 With this final act, your larchdeck flooring installation will be complete. It is a time taking procedure. Nevertheless, you can accomplish this task with patience. However, if you buy unfurnished material you might need to spend more time on this. You will have to finish the wood to prevent stains, unevenness, and scratches. You will need sandpaper to clean that place after installation. You might not be able to give it a proper finishing like an experienced one. In that case, it might be shaking. To avoid all these, it is better to get prefinished materials if you are inexperienced and are trying this for the first time.